Gardening in Maine is tough. Our season is definitely coming to an end, with only kale, gourds and some herbs hanging on. The sunflowers suffered a cold snap and have drooped. The zinnias are the only flowers still showing life. The autumn foliage here in the northeast is the most beautiful in the country, but that beauty does not carry on in the garden beds. That’s why we use polytunnels. Greenhouses, cold frames, and polytunnels offer we Mainers a bit more time in our growing season. 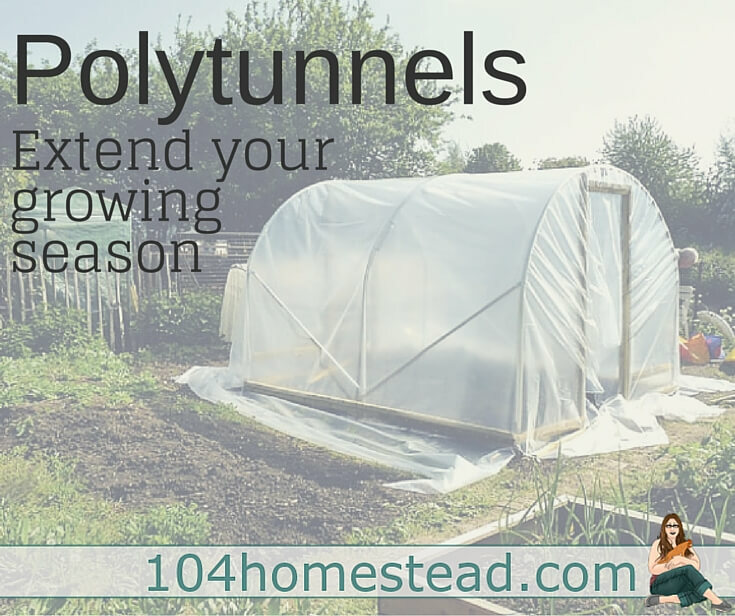 Polytunnels are my favorite hands down. Greenhouses are large enough to walk into. 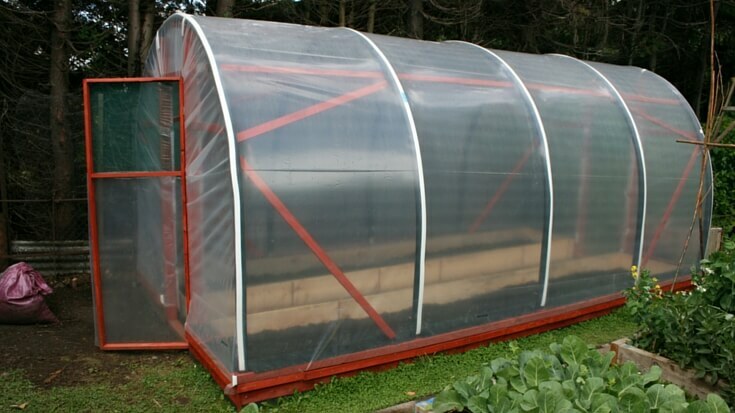 Cold frames allow you to plant directly into the ground and can be taken down when not in use. Polytunnels give you the best of both. 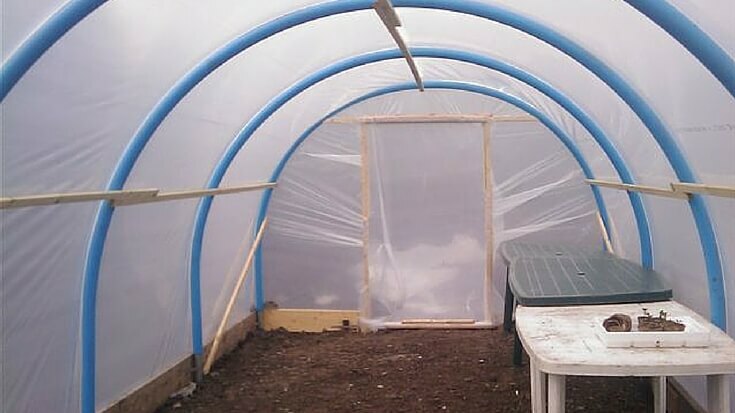 The difference between a greenhouse and a polytunnel is that a polytunnel is made from plastic and is portable or able to be disassembled when it’s not needed. Last year I used a polytunnel for an unorthodox purpose. I used one to give my chickens a warmer place to spend their winter days. They appreciated it and I eyed the tunnel wondering if I could hang baskets of salad greens out of the chickens’ reach to take advantage of the noticeably warmer temperatures. Well, the chickens ate the greens, but I knew a polytunnel was my answer to extended season growing, just not with the chickens. The video below illustrates a similar to the polytunnel to the one I made for the chickens last year and will use for the garden this year. To make it easy to disassemble for the off-season, omit the glue/pipe cement. I found pressure alone was enough to hold it through heavy snow. So what are you waiting for? Go grow some veggies! I really want to try this…our growing season is so short here! Yes they definitely help in areas that will experience cold. They are a great way to grow all kinds of leafy greens and other cold tolerant root crops such as radish or carrots.